Gaybird martagon lily is a rose-pink colour with dark purple speckles outlined in a light yellow/cream effect. Gaybird will reach 100 to 150cm tall and will produce an abundance of flowers. These Lily Bulbs should be planted as soon as possible. 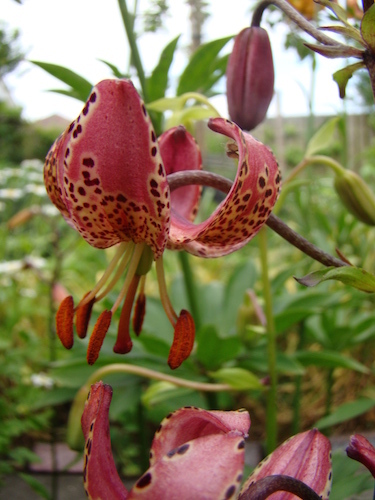 Martagon Lilies like a any soil from Acidic to Alkaline, chalky, clay, sand or loam based. Plant the bulbs with 6" of soil above them. Martagon lilies will flower early Summer.